A Royal Thai Air Force spokesman shared themilitary’s findings with CNN. On March 8, the Thai military radar was receiving normal flight and communication data from MH370 as it flew its route from Kuala Lumpur to Beijing. 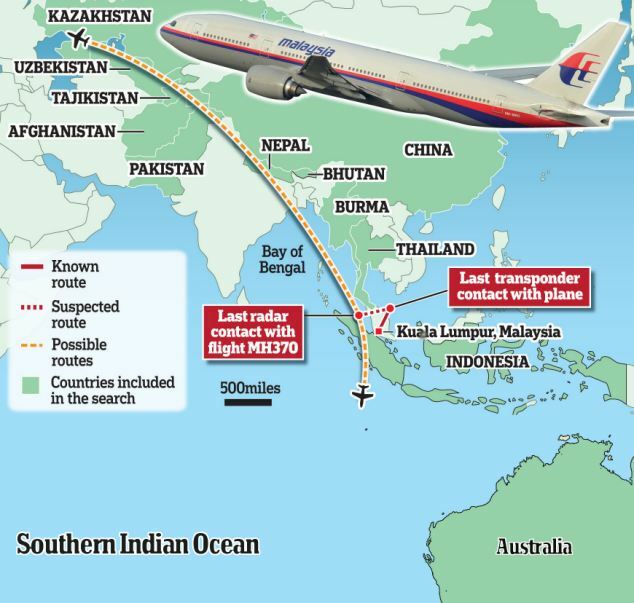 And then, at 1:22 a.m. local time, the flight disappeared from radar. At 1:28 a.m., Thai military spotted an unknown signal on its radar that showed an unidentified aircraft traveling in the opposite direction of MH370. Thai radar data supports hypothesis that missing Malaysia Airlines flight changed direction – UPI.com.